My sister is a super smart mathematician, she makes cool mathematical origami shapes. Here are some of them and her explanation of how to make them. 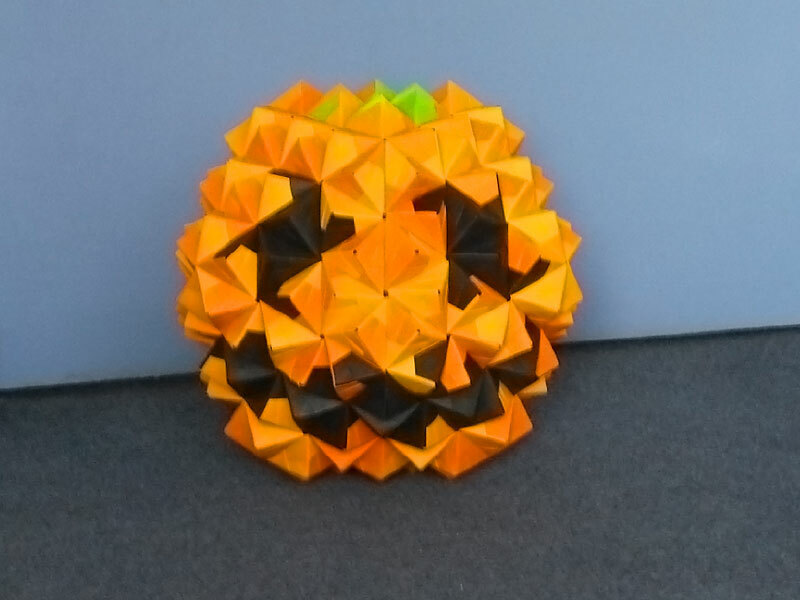 The origami Halloween pumpkin and a few others are based on the instructions from http://nuwen.net/poly.html, but I use bigger squares of paper. Note that the guy who wrote this website describes his “Epcot Ball” in terms of the hexagons and pentagons of a soccer ball (AKA Bucky ball, AKA truncated icosahedron). 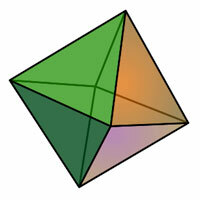 There is another way to describe it in terms of an icosahedron. Have you seen a 20 sided dice? 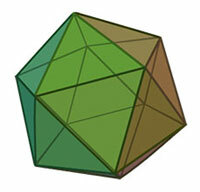 That shape is called an icosahedron. Each face of an icosahedron is an equilateral triangle, there are twenty faces, and you can see from the picture that at the corner of every triangular face is a point where five triangles meet. That is the repeated pattern of an icosahedron – at every corner point, five triangles meet. 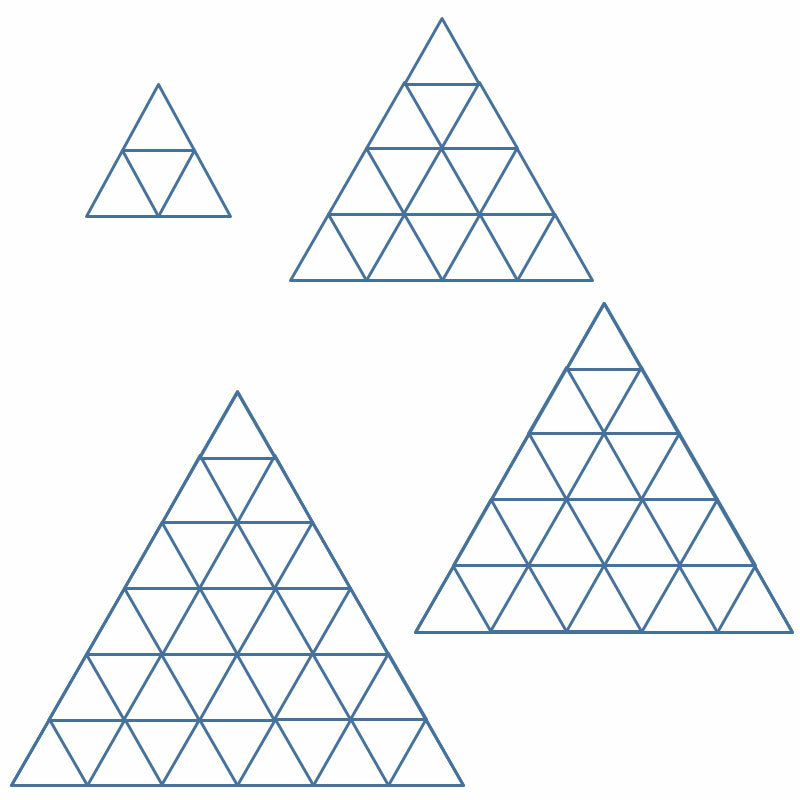 Note, given that the Epcot ball has 9 times as many pyramids as the basic icosahedral ball, it requires nine times as many pieces of paper, namely 30×9=270 pieces. 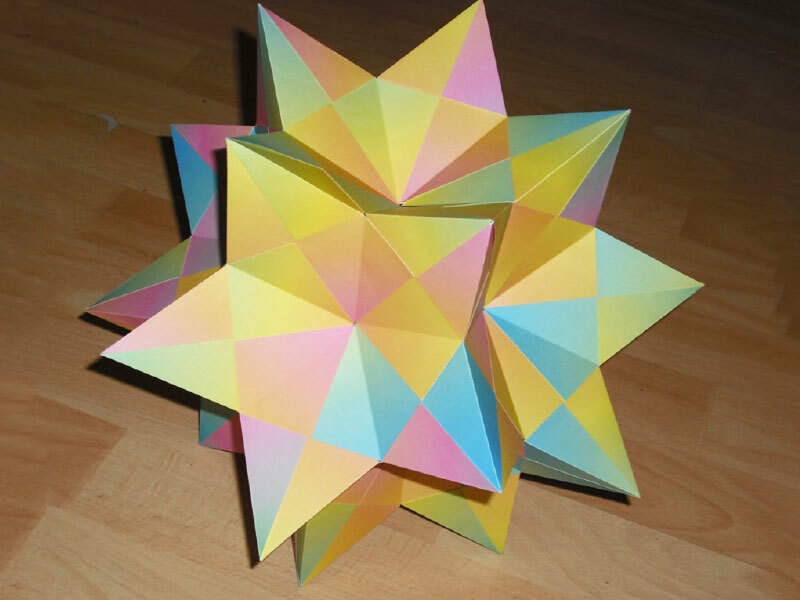 Note also that you don’t have to build an icosahedron with these origami pieces, you could build an octahedron which has just eight faces. 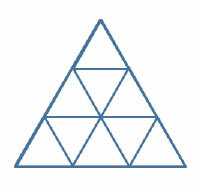 I built an octahedron where each face was made from 36 pyramids (see photos below). The total number of pieces for the basic origami octahedral ball is 12, so when there were 36 pyramids per face, I needed 36×12=432 pieces of paper. Note also that when you start building these larger structures, where each face is constructed from more than one pyramid, the structure of the origami ball is less rigid and more likely to come apart. 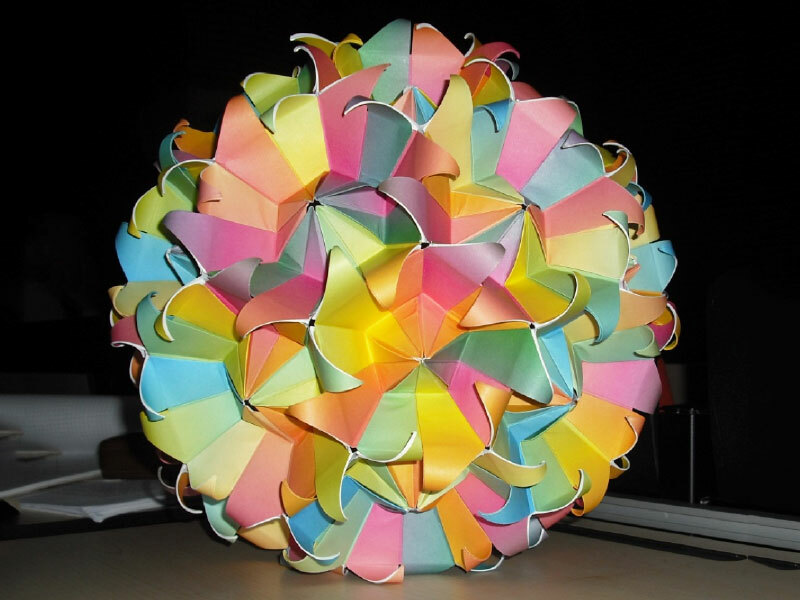 To remedy this, I build a hollow cardboard icosahedron/octahedron of the appropriate size to sit inside the origami pieces, then I weave together the origami pieces over the top – yes that does make me a great big origami-cheat! 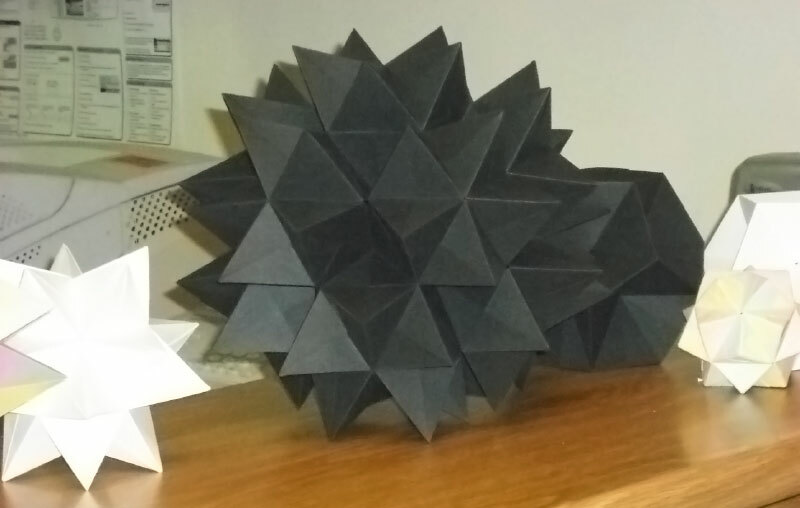 See pictures below (the hollow cardboard octahedron is black). “The Beginner’s Book of Modular Origami Polyhedra: The Platonic Solids” by Rona Gurkewitz and Bennett Arnstein. 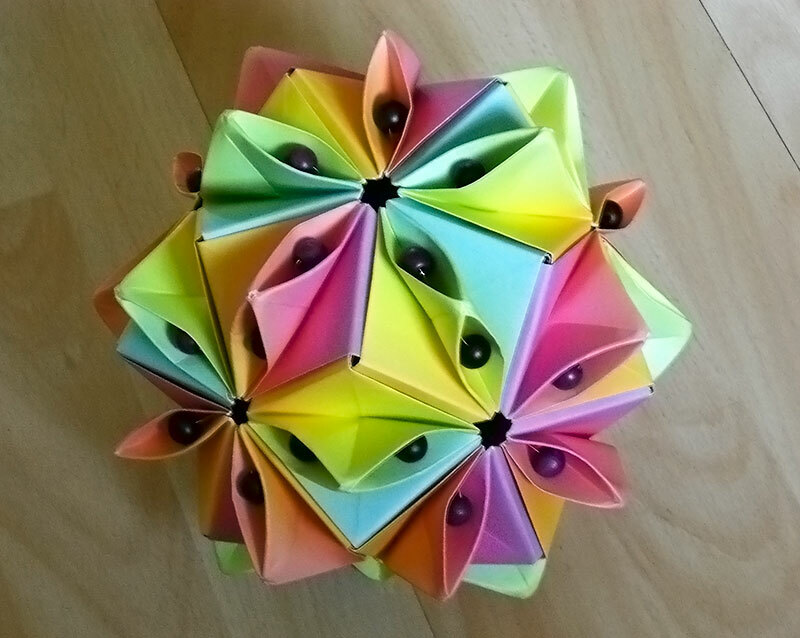 “Exquisite Modular Origami” by Meenakshi Mukerji. 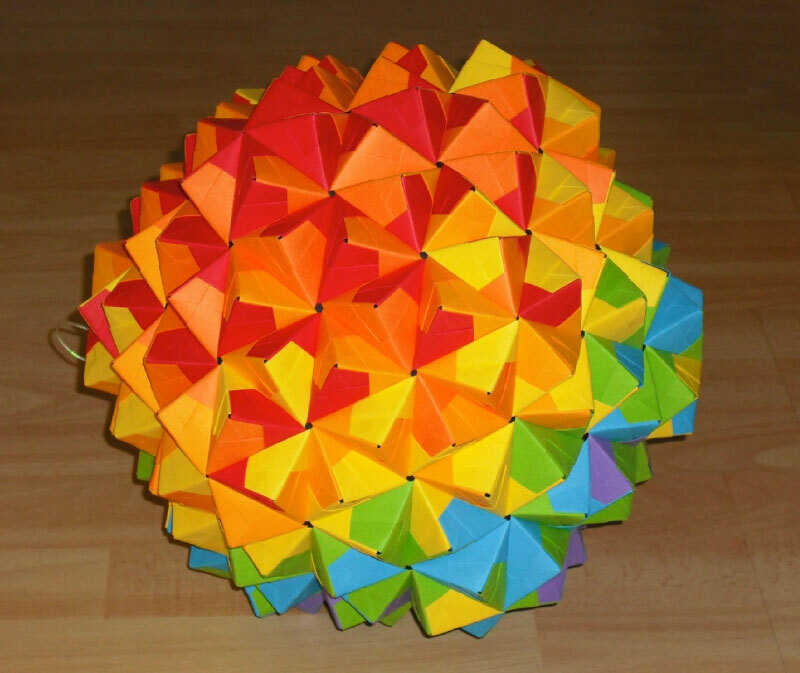 How do you build a hollow cardboard icosahedron/octahedron?